"Math is my passion and I want to share the joy of doing math with others" says Kathir Meyyappan, son of Suja and Meyyappan. 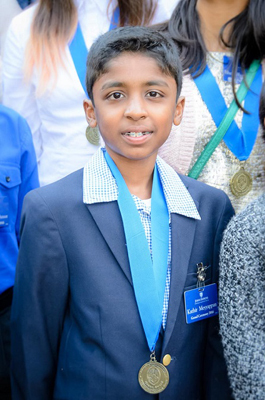 Kathir, eighth grader, has been very successful at Math Bees. 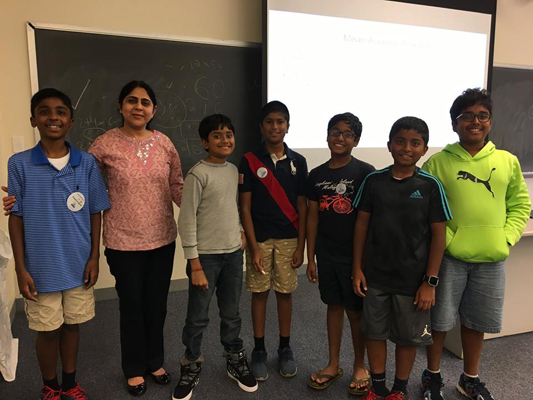 Kathir ran a 4 week math camp where he shared wonderful tips and tricks to do Math and shared his love for Math with others. It is by the kids, for the kids!!! Kathir proudly wore his Ekal badge 'Power to Ignite'!!! 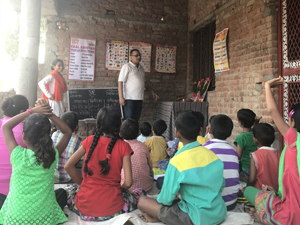 "Kathir wants to use his interest and passion in Math by conducting Math workshop and use ALL the money he raises through this Math Workshop[s] and beyond in "Adopting a Ekal School for Life time" in rural India and help eradicate illiteracy from rural and tribal India through Ekal Vidyalaya. Ekal Youth Leaders were the shining stars at Ekal Navratri event last night. The evening was full of inspiration. EYLs Neha Vijay and Sanjana Krishna choreographed dances not for themselves but also for the little ones! EYL Neeraja Deshpande did amazing mehndi, 8 year old Amirtha donated an Ekal school on her birthday! 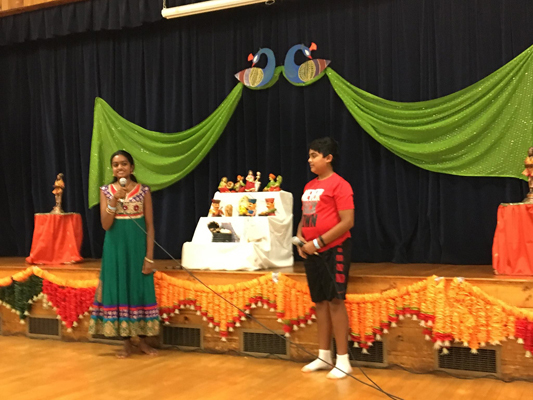 Sanjana and Sid shared their Kolu experience. Neeharika Munjal talked about upcoming Ekal Appathon 3 event. EYL Nandini Seetharaman talked about her Ekal internship experience in Jharkhand. Yes, she taught science and English to kids in Ekal School. She was there for two weeks. How impressive that kids are reaching out to help kids! Little Anishka launched her 'pot painting' project, to raise funds for Ekal Schools. Manasi - so nice of you to come, we are continuing this project started by you, now 3rd year. The seniors were also in their own league! Creative decoration by Raksha Soni and Aneesha Karody of Taranaom set the stage for the festive mood. 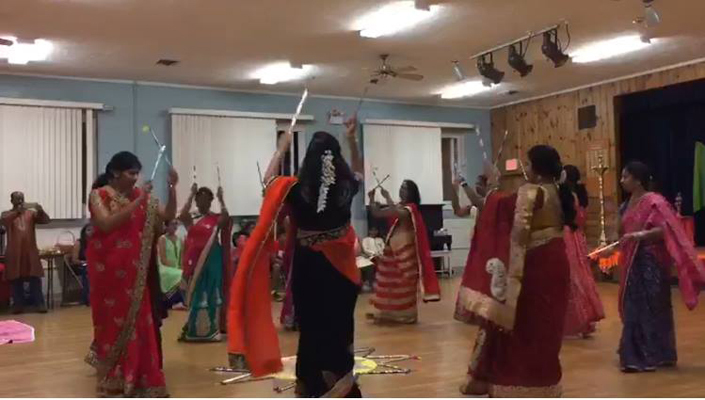 Srilakshmi Srinivasan led the moms for a fabulous 'Kolattam' (aka stick dance in South India). Hats off to these wonderful ladies to practice the dance and deliver with such joy, Srilakshmi also sang a most befitting 'Dussera' song. Kumkum Dilwani and Madhu Mathur Anand sang the mesmerizing 'pallo latke'. SangeetaSaxena, Shital Shah – thank you for your Garbasipirt! Felt like the Gods were watching this event...had the honor of having Ekal NE founder, Ram Nehra, past presidents Amrit Soni and Subra, Anuradha Dravida and veteran volunteers Rishi and Niti Chhabra Kapoor. All EYLs got blessings from Ram. Have to thank all the dads who worked selflessly and tirelessly (well, they don't have a choice). Several volunteers cooked delicious dinner for everyone! There were sweets from Rupali. Thanks to Geetha Raju for fresh 'mograveni'... the evening was filled with fragrance! 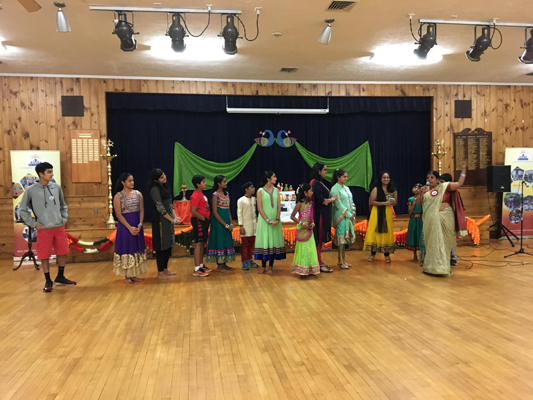 Thanks to Srilakshmi and Pushpai for managing a great event! Thanks to all the dear friends and EYLs who volunteered in various ways, gave their time and energy, and joined us for a fun evening, while supporting a great cause. Thanks to Shri Sai Vogue for sponsoring, much appreciated. Ranjani Saigalji - the Engine of the Ekal train and with so many wonderful families joining, the train is only growing longer and going on full steam!!! From the young EYLs to young at heart, each one brings immense inspiration and dedication! Gurupreet Singh joined Ekal Vidyalay in 2005 when Ekal started school in his village – Bathadhittad in Firozpur district of Punjab. 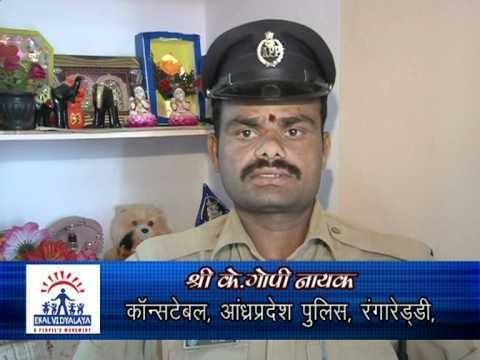 He says that his teacher was very loving and encouraged in sports along with studies which motivated him for higher studies in 2007 after which he joined Indian Army as a constable and is at present posted in Pune. 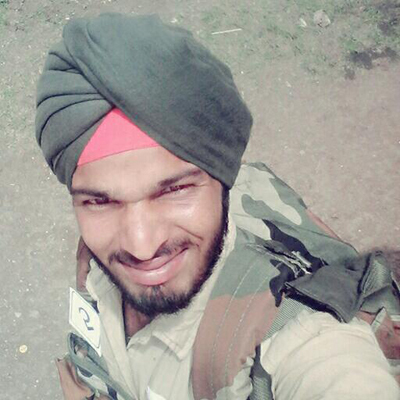 Butta Singh studied in Ekal Vidyalaya – Bagge village in Fajilka district of Punjab from 2004 to 2006, still remembers his teacher’s name, Smt Paramjeet kaur. 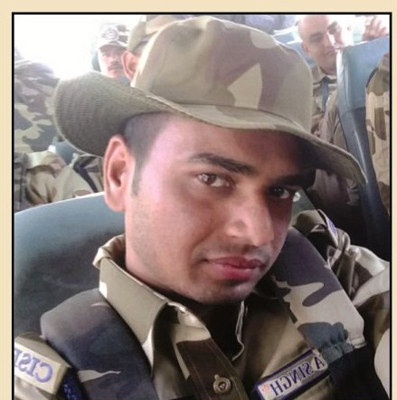 He did his higher secondary in nearby Jalalabad district where he passed with first division and then pursued his graduation in BA from Delhi after which in 2013 he was selected by Central Industrial Security Force (CISF) and now he is presently posted in Chennai High Court. 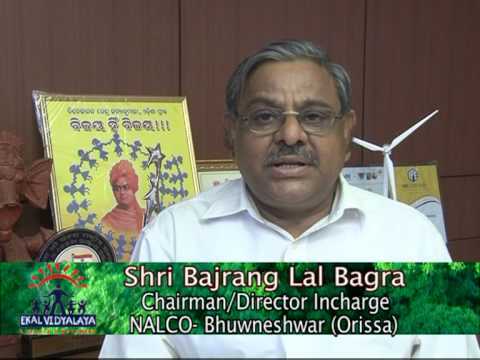 He conveys his gratitude to Ekal Vidyalaya without which this would not have happened. 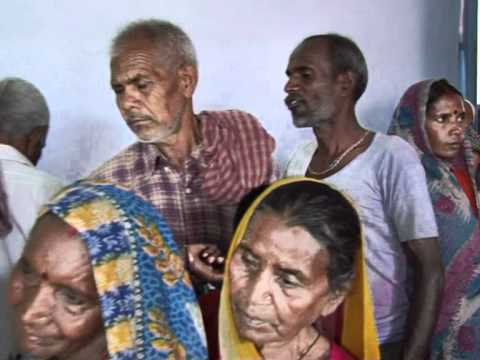 47 years old Smt Sanju Maitro lives with her husband, Shri Nabendu Roy, in the last home at the Indo-Bangladesh border in the village of Tilason, Malda. Being a B.A. (Hons) in Philosophy and an Ekal Acharya (teacher), she always wanted to inspire her surrounding families towards sustainable practices. She came to know about Ekal Gramothan’s training programs at GRC and opted for Organic Farming and Nutrition Garden training. Now, the couple is a role model for all the families of village: they grow their own organic vegetables, own 2 desi Indian cows, a pond for rain water harvesting. Their Garden is always full of seasonal vegetables and fruits. Prayag Bhag witnessed an eventful three weeks between 22nd August and 12th September, during which a series of 9 Mahila Vargs were conducted in each of its anchals, a beautiful confluence of woman power hailing right from the grass root level of the gram samiti to the urban centre of the bhag. 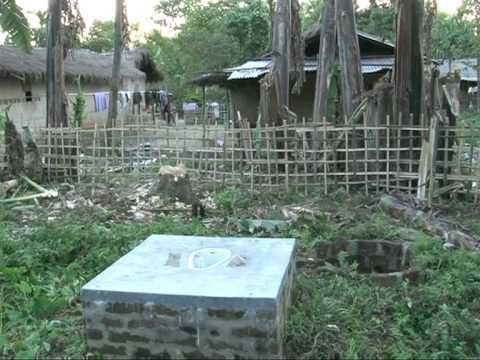 The most unique feature of these vargs was the fact that they were organized by the members of the anchal mahila samitis, with minimal support or involvement of men, and with self-generated funds, reinforcing the concept of swavalamban which is the hallmark of the Ekal movement. The purpose of these vargs was manifold. 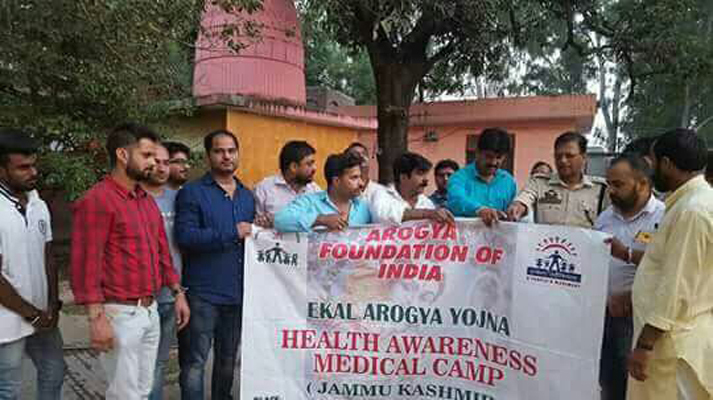 The day-long varg was divided into 5 satras, in which the focus was on conveying to the participants the vision and future plans of Ekal Abhiyan, explaining to them their role in making each of the 5 dimensions of the Ekal cause a success, and training them to increase their effectiveness in these roles. 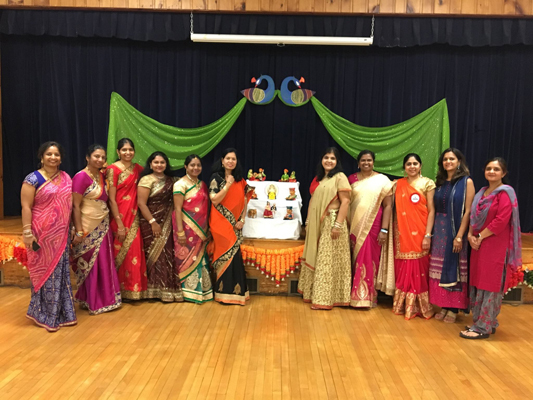 These satras were conducted not only by members from within Ekal, but also by illustrious women from all walks of life – medicine, law and administration, to name a few. 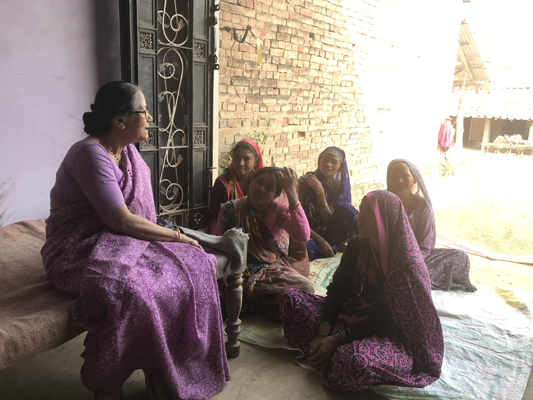 A natural outcome was that these guests were able to experience first-hand the manner in which Ekal was empowering women, even from the most backward sections of society. For example the Block Development Officer of Kaushambhi, Smt. 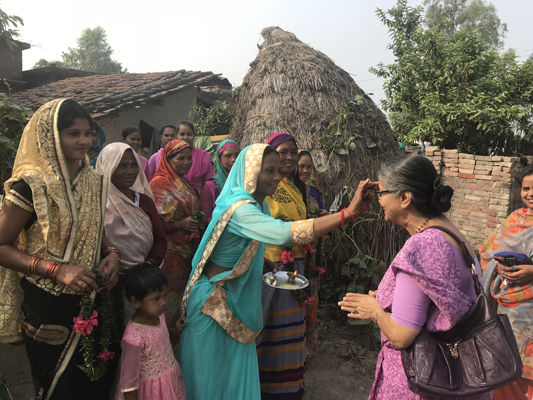 Swati Singh was so impressed by the sight of a gathering of close to 400 mahila samiti members leaving their home and hearth to dedicate their energies to a higher cause, that she pledged complete support in every possible way to further the Ekal Abhiyan. For a day, these vargs brought under one umbrella every woman who was associated with Ekal and heightened the connectedness between each of them. Arogya Foundation organized plantation drive in villages around Nagrota area. Arogya team gave awareness about pollution and hygiene maintenance. 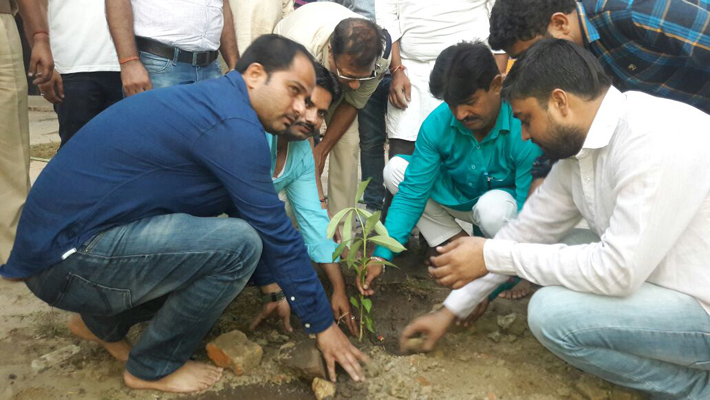 Ashish sareen gave awareness about plantation and how to stop cutting of trees for survival of mankind. Shri Yashwant Rao Deshmukh, Founder Director C-Voter Media Company had adopted an Ekal Vidyalya for life subscription in the memory of his Late father Shri Yadav Rao Deshmukh. Since then he wanted to visit his Ekal village. On 8th October 2017, Yashwantji with his India Director Shalinder Mahajan and a friend Dr Gupta from Pilibhit visited his Ekal village “Bada Bhudia” in Nanakmatta Sanch, Khatima Anchal Uttarakhand. Prof Manju Srivastava, President Ekal Sansthan accompanied them. As they reached the village they were given warm welcome by Gram Mahila Samity. Had lunch at Gram Pramukh’s house. Then interacted with the Samity members. After brief meeting all proceeded to see Vidyalya. 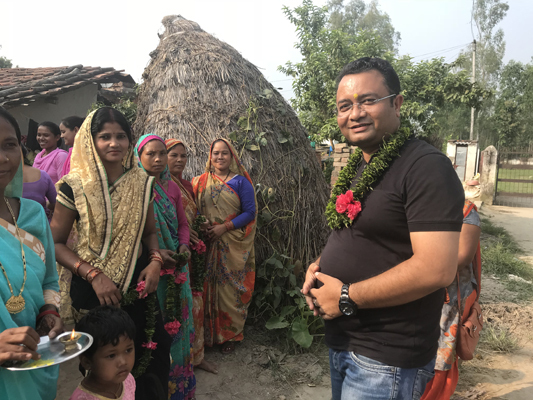 By the Time, Bhag Samity members and Adhikari from Haldwani also reached the village to meet Yashwantji who interacted with everybody. The visitors were impressed by the live performance of Ekal Children. Yashwantji got so involved with children that he himself started teaching them. While returning they saw soak pit, wall writing and other activities also. Yashwantji promised to visit the village again and said “Now this village is my Teerth”. 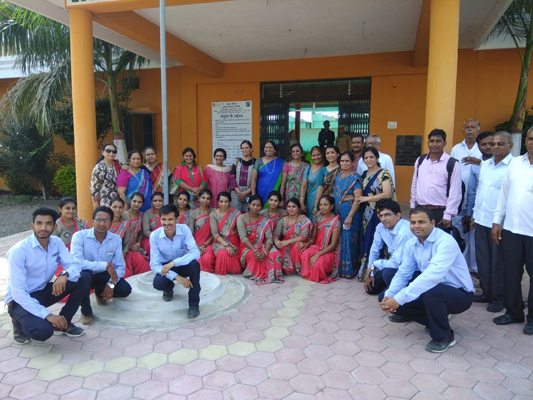 FTS Indore Chapter's Mahila wing organized a Vanyatra on 27th September with 12 ladies to Tangiaplot gram, Mandeleshwar Sanch. 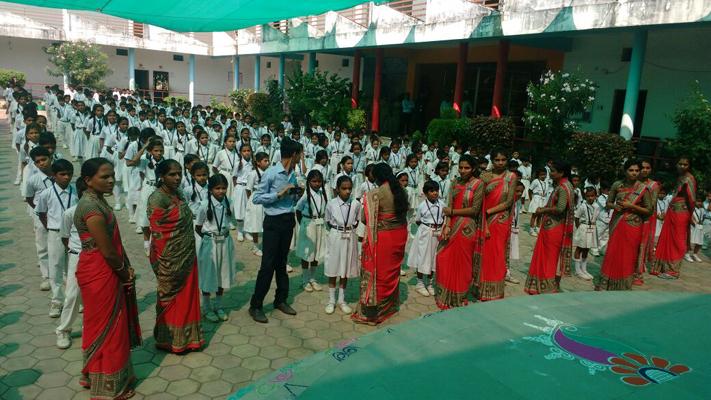 They were surprised with the discipline of Ekal children and their presentation. Over all it was a wonderful experience for all of them.